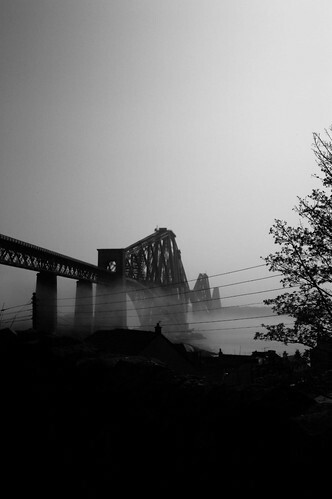 A very spooky looking Forth Rail Bridge. It was very misty on Saturday when we took a trip to Deep Sea World. ~ by Welchie on 16 April, 2007.